Leave it to Maximilian to make a combo video of a character the same day he/she is released. Peep the Lobo combos inside. 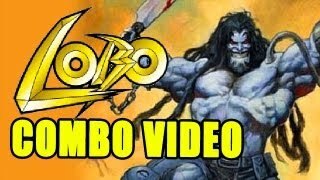 Maximilian has wasted no time showcasing combos for Lobo. The character was released for Injustice: Gods Among Us today (May 7) along with a couple of skin packs and a free Flashpoint Batman costume.